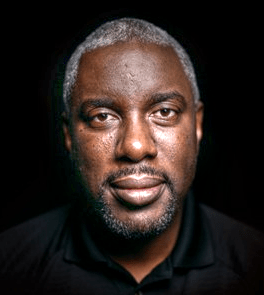 Thabiti Anyabwile, a popular writer at the Gospel Coalition and politically-focused Black Nationalist agitator, recently claimed in an op-ed in the Washington Post that ending Roe v Wade is not worth having to work with Donald Trump. In other words, Anyabwile argued that evangelical Christians should actively seek to oust the current president, even if it means we might otherwise end the atrocity of abortion. Burns, who had endorsed Bernie Sanders as the “best candidate” for black Americans in the Democratic primary, insinuated that abortion was a low priority for believers. We wrote about that in SBC Pastor, Thabiti Anyabwile, Suggests Unborn Babies Aren’t a Top Priority. We were told at the time that we’ve just misunderstood Burns. His op-ed today removes all doubt, however, that the Black Nationalist and Marxist leader is willing to sacrifice the lives of the unborn for the sake of his political philosophy. Although he refers to himself as “pro-life” in the first paragraph of his post, Anyabwile makes clear that Christians should – in his opinion – oppose the current POTUS even if POTUS is trying to end abortion. Burns’ point is presupposed upon the idea that a vote for Donald Trump in the general election was by necessity a “compromise” (voting for Clinton was not a compromise in his view). Burns used his op-ed in the WaPo to lash out at Christians who voted for Trump and who feel vindicated in the wisdom of their vote, given the impending nomination of Trump’s second likely pro-life Supreme Court justice. It should not surprise us that Burns – a Marxist and globalist – characterizes a common sense immigration policy designed for national security as “at odds with Christian views of religious freedom.” This claim is absurd for several reasons, including that (1) Obama had implemented a harsher policy than Trump’s, to no criticism from the left (2) these countries only represent 8% of the world’s Muslims, but instead, represent terrorist nations. Furthermore, national borders and boundaries were invented by God Himself, and not juxtaposed against the Holy Scripture. Finally, whether or not a citizen of the United States has the liberty to worship whatever god they choose has nothing to do with whether or not those of other religions (or countries) are somehow entitled to come as immigrants from nations that regularly support acts of terror against our republic. The insanity of Burns’ facts-deaf leftism aside (and yes, he mentions “Russian collusion” in his article, I kid you not), his overall point is that the Trump administration is capable of great evils that are even more wicked than the grievous sin of abortion. Burns’ argument is that abortion is bad, but racism is worse than abortion. Furthermore, Burns makes the thought-leap that Trump (and Republicans and conservatives et al) is racist. Burns makes the rather humanitarian policy not to incarcerate children with their criminal parents the moral equivalent – nay, morally worse – than murdering children. Trump, Burns argues, is advancing racism against “black and brown lives” and this must take priority above ending the murder of millions of black and brown babies who are disproportionately slaughtered in the womb. Again, Burns lashes out at Christians celebrating the opportunity to nominate another conservative to the courts who will be more likely to overturn Roe v Wade. To Burns, the inherently racist policies of Donald Trump and the Republican Party are not worth ending the greatest evil the world has ever known. And if that’s what it means to be “pro-life,” we need less of it. Russell Moore and the rest of the “woke” Social Justice movement in evangelicalism have convinced many that their movement is trans-political, or perhaps even apolitical. These are Gospel™-centered men who just happen to think that the Bible approves of illegal immigration and is kind of chill with abortion. In reality, what Burns demonstrates, is that the movement is as political as the Moral Majority ever was; they’re just on the other side. Witnessing to the Watchtower: And the Word was ?? ?